American DJ Event Bar Pro DJParts - All Variety of Parts that DJ Needs. Create pure lighting excitement full of beams of light with the ADJ Event Bar Pro. This fixture is powered by four 10W white LEDs. This 4-head Pinspot system produces small 3-degree beams from exciting built-in programs. User may also program the beam’s colors and movements with a DMX controller (sold separately). 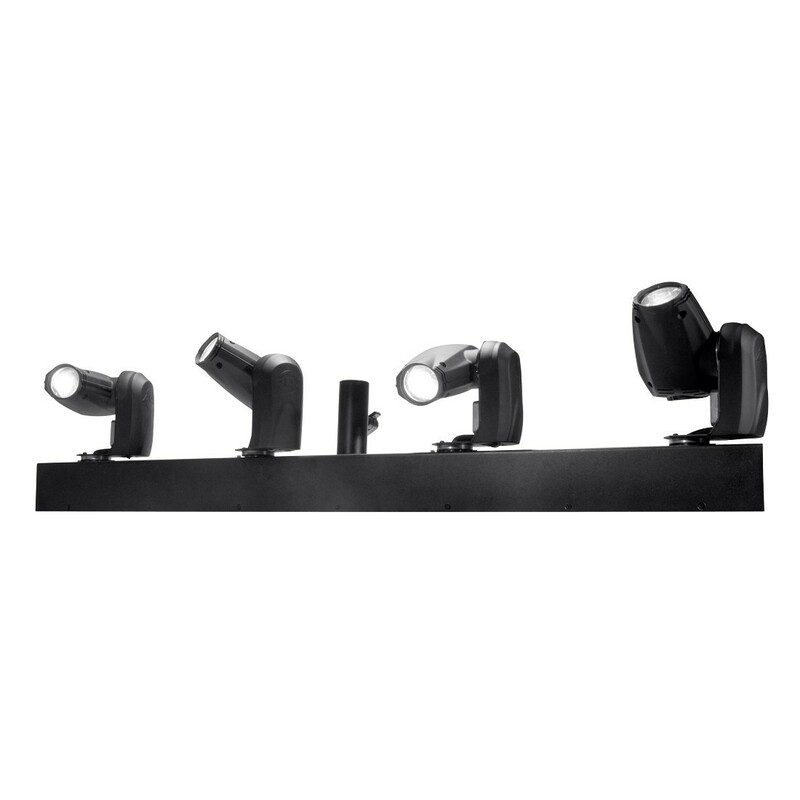 The Event Bar Pro is a versatile fixture that may be used to spot tables, décor and retail environments, or used as a special effect light at night clubs or other parties. The Event Bar Pro’s base has built-in DMX In/Out, IEC power In/Out connectors, a 4-Button DMX LCD display, built-in microphone for sound activation and ¼-inch input for ADJ easy-to-use UC3 controller (sold separately).